Are you kidding me? How!!?! Ughh these past nine months have been the absolute best! 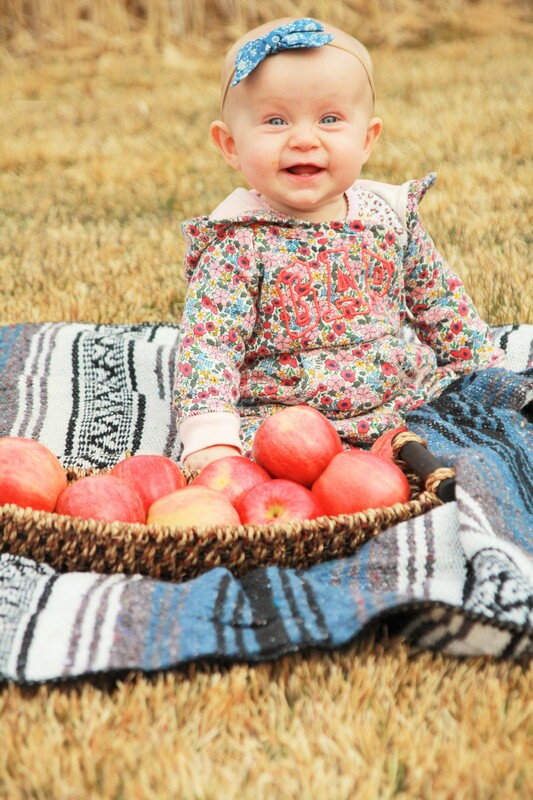 Olivia is seriously such a joy and brings so much fun and love into our home. 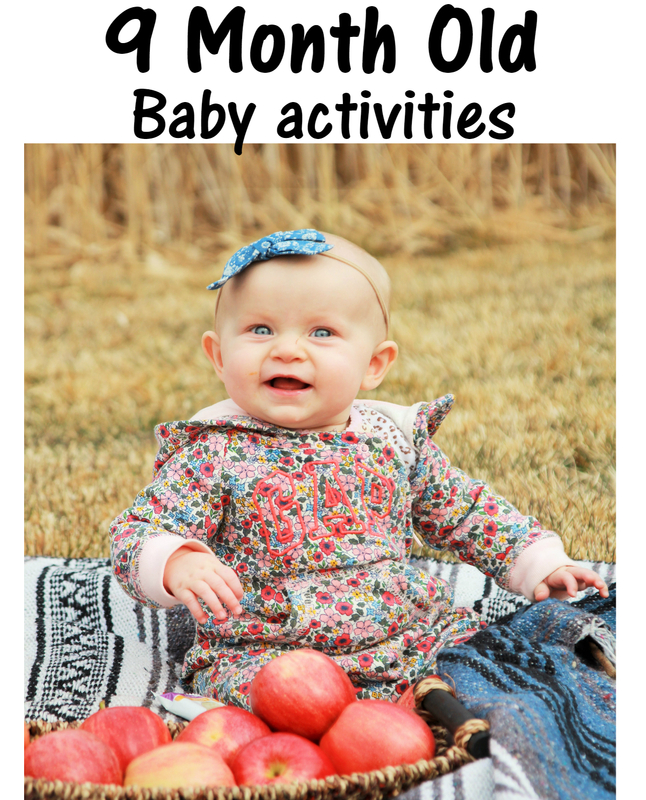 I am going to list a few things she is currently doing and then list some ideas you can do with your babies! Olivia said her first word MAMA! Insert major heart eyes, this is the best reward ever! Although she doesn’t know what mama means and calls everything mama. Haha According to “professionals” now is the time babies should start associating mama & dada with actual individuals so we are working on that. Olivia LOVES solid foods!! Her favorite right now is EGGS, no questions asked. She just barely started taking a bottle. FINALLY! So I am going to start introducing her to formula. Any tips? cause she hates it haha. Olivia can’t crawl yet but she wants to!! She rocks back n forth & tries. While she is on her tummy/all fours we push behind her feet and she pulls forward with her arms. She still loves being outside. The other day we went and sat by the train tracks and she just loved watching the trains honk and drive by haha she would throw her arms up and ooo and ahhhh it was sooo cute. The train conductors would wave and honk it was the cutest! CRAWLING: To help her crawl we do a few things. We’ll sit her on her bum and put toys or cereal a little out of reach. She will lean far forward and walk her hands up to it and grab it. If it is far enough away she will rock back n forth until she falls forward, then she shoots her legs back (superman) and then will grab it haha it’s pretty funny to watch. We do a similar thing to her when she is on her tummy. We put the items a lot further away though. We put our hands behind her feet and let her push off of them until she reaches the toy. 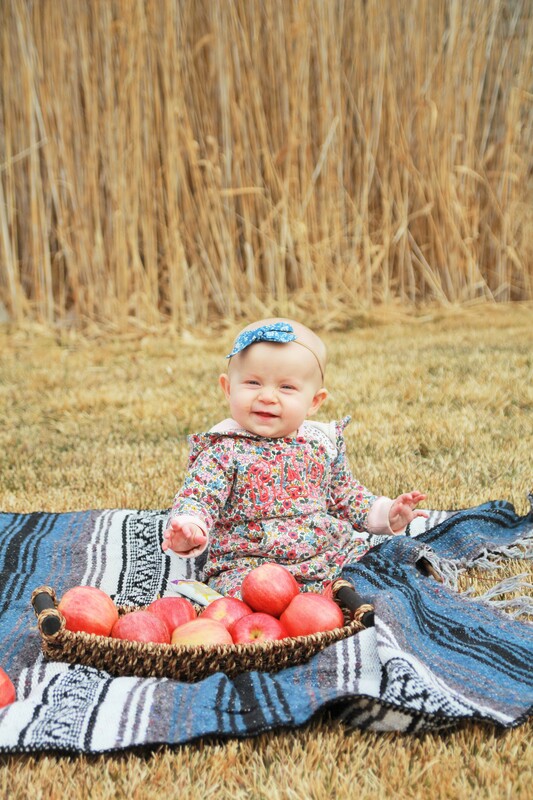 The last thing we do and started doing at about 6 months, is lay her tummy down on a blanket. Then drag the blanket around, lifting her chest off of the ground. I feel like this helped her gain that upper body strength and she liked being able to move around. WATER TIME: Liv loves to splash, like most babies I’m sure. I fill a little cookie sheet with water and put measuring cups in it. She sits and splashes all day haha. It gets messy so be sure to lay down towels. But it is so worth it! PAINTING: You can get paints and canvas for pretty cheap. So I got a canvas, squirted lots of different colors of paints on it, wrapped it in plastic wrap and let Olivia mush and play with all the different colors, without all the mess! She used her hands and toes to touch and squish all the colors. It was fun! PUSH N PULL: I saw this idea on Pinterest and thought it was genius. Liv loves it. You get any empty container, wipe dispenser is best but you can use a tissue box or formula can just slit a hole in the lid. You fill the container with fabric or ribbons and the baby can pull all the stuff out and push it all back in. COLORS: I am trying to teach Olivia colors so I got a few different colored bowls with coordinating colored toys and am trying to teach her to put the right colored toys with the matching colored bowls. Regardless she loves grabbing the toys out of the bowl and putting it back in. SQUISHY SAND: A good sensory idea is to break graham crackers up until they are really fine, like sand. Put it in a container and let your baby grab and squish it in their hands. The best part is if they eat it, it’s totally fine!! What would be your BREAKTHROUGH moment?? How to find yourself & what you want to be.